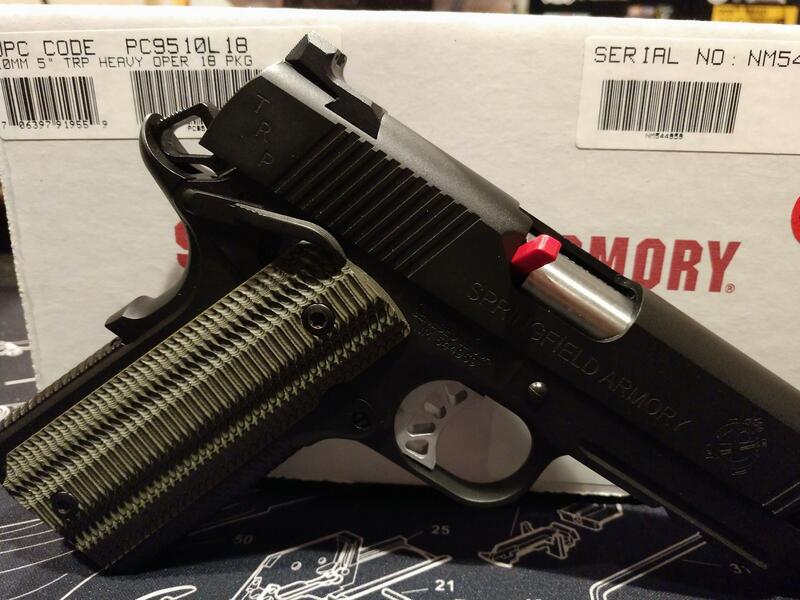 For Sale Is A Brand New Springfield Armory 1911 TRP 10mm Heavy Operator. 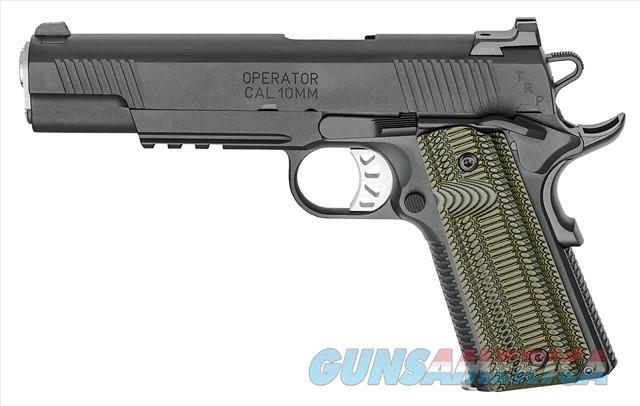 This latest offering from Springfield chambers their proven TRP Operator 1911 in 10mm AUTO to be the most powerful yet. 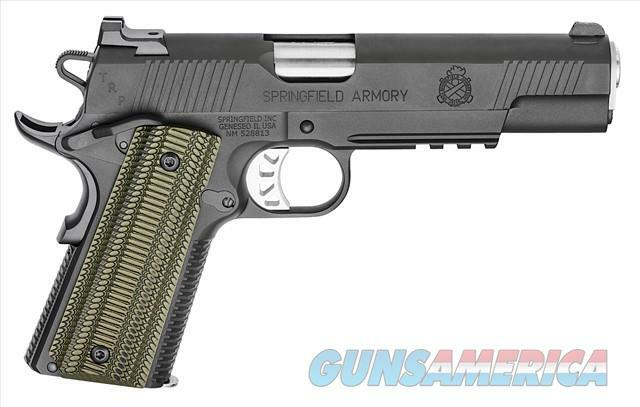 Includes: •	Springfield Armory USA Tactical Gear Range Bag •	Two Polished Steel 8 Round Magazines •	5" Stainless Match Grade Barrel with Fully Supported Ramp •	3 Dot Tritium SA Tactical Rack Night Sights •	VZ Alien Dirty Olive G-10 Grips •	4.5 to 5 lb SA Gen 2 Speed Trigger •	Ambidextrous Thumb Safety •	3 Slot Accessory Rail •	Octo-Grip Front Strap and Mainspring Housing Texturing •	Lock and Manual Not on CA DOJ Roster. 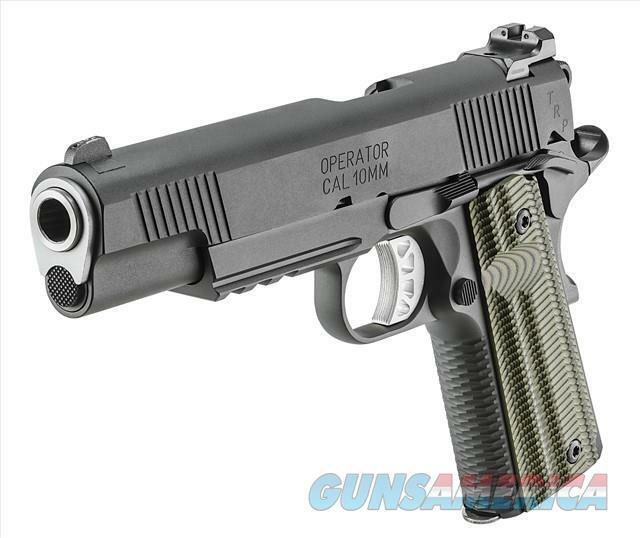 Before you bid make sure you can legally own a firearm and understand your state and local laws. Do not bid on this item if you cannot own it. Any return is subject to a 20% restocking fee. Payment and FFL are due within 7 days or we reserve the right to resell the item and will post you as a non-paying bidder. We accept Bank Certified Checks, USPS Money Orders, Visa and MasterCard. This listing is the Cash price. Please add 3% for credit card purchases. Shipping and handling fee is $35.00. Any questions you can call Don at Two Rock Technologies LLC or email Don. 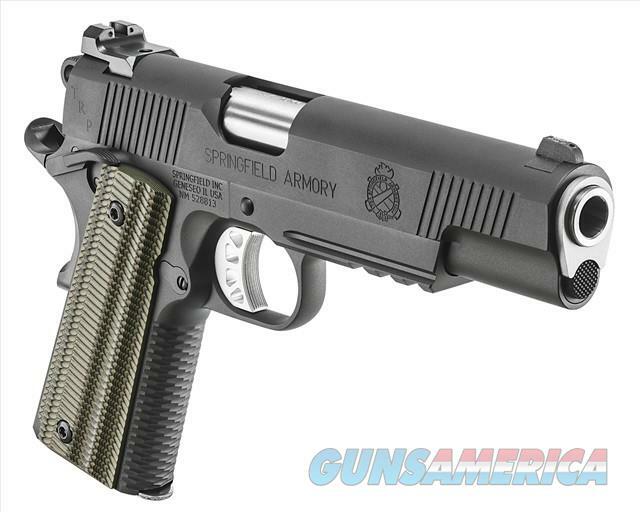 Please visit all our offerings on Guns America. We are a Service Disabled Veteran Owned Small Business (SDVOSB).